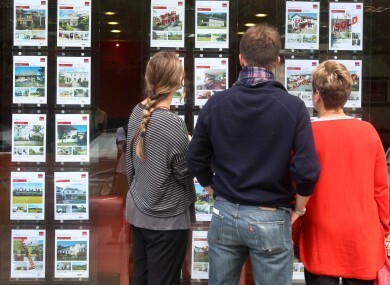 Mortgage lending rose by 73% in the first quarter of 2015 to € 983m, as first-time buyers continued to dominate the market. However, both the value and volume of mortgage lending was down on the last quarter of 2014, and the impact of tighter lending requirements from the Central Bank, which came into force on February 11th, has yet to be fully observed. According to data published on Tuesday by the Banking and Payments Federation Ireland, some 5,618 new mortgages worth €983m were drawn-down in the first quarter, up by 64% on the same period in 2014, but down by 26% on Q4 2014, traditionally the strongest period for mortgage lending. This compares with Q1 2007 when 7,919 loans worth some €7.8bn were drawn-down. First time buyers accounted for more than half (53.6%) of these loans, followed by those trading up (31.9%). Just 320 buy-to-let mortgages were drawn down during the period, accounting for 5.7% of the total. While down on Q4 (395), the figure is up 74% on Q1 2014, suggesting that investors are looking to take advantage of strong rental growth. The average loan size rose to € 175,016 in Q1 2015, up 5.5% on Q1 2014. Davy economist Conall MacCoille expects total new mortgage lending to reach €4.5bn in 2015, up from €3.7bn in 2014 and €2.4bn in 2013. However, growth rates have slowed, and Mr MacCoille said that the new lending rules from the Central Bank “will constrain credit availability as the year progresses”. As of yet, the figures reveal little about the impact the new rules might have. Juliet Tennent, economist with Goodbody Stockbrokers, says that while it is difficult to quantify the incidence of those who received mortgage approval under the “old” regime accelerating home purchase in the aforementioned figures, the Q1 numbers are encouraging as is the strong approvals figure for March, noting that the recovery has some “momentum”. Figures released by the EPA on Monday show that significant effort will be needed for Ireland to meet its EU greenhouse gas emissions reduction targets. The EPA (Environmental Protection Agency) has predicted that Ireland will struggle to meet its EU greenhouse gas emissions (GHG) reduction targets, which demand a 20% reduction by 2020 on 2005 levels. The latest figures show that annual emissions from Ireland’s non-Emissions Trading Scheme sector, in which agriculture and transport dominate, are projected to be 9% to 14% below 2005 levels by 2020, which compares unfavourably to the 2020 target. The EPA does add, however, that overachievement of annual limits in the period 2013-2017 under the best case scenario will allow Ireland to cumulatively meet its compliance obligations over the period 2013-2020. This best case scenario assumes that ambitious policies and measures out to 2020 will be implemented in full, including reducing energy consumption in our homes and businesses and increasing renewable fuels in transport and heating. Agriculture and transport dominate the non-Emissions Trading Scheme sector. Together they account for approximately 75% of Ireland’s non-Emissions Trading Scheme sector emissions in 2020, with agriculture at 46% and transport at 29%. For the period 2013-2020, agriculture emissions are projected to increase by 2%. The EPA added that even if Ireland complies with its 2013-2020 obligations there will be as yet undefined new obligations for the years 2021-2030. A starting point for post-2020 obligations in excess of the range of expected outcomes for 2020 (i.e., 9 – 14% below 2005 levels) will inevitably lead to severe compliance challenges early in the following decade and beyond. What do Eircom’s results really tell us about its prospects in the near future? Has it turned itself around? 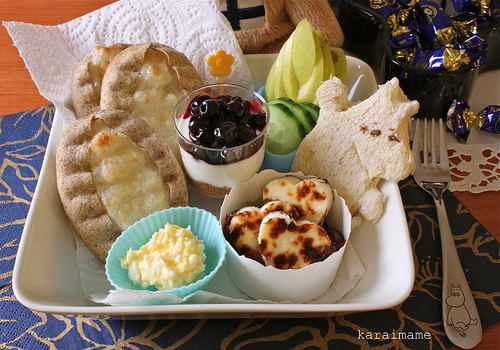 By the standards of recent years, the results are good. Quarterly revenue growth, even taking into account seasonal factors, is a decent achievement. If such growth continues, as executives are guiding, confidence will increase. The company is a lot leaner than it was two or three years ago, too, and appears to have successfully changed its focus to high-speed broadband, an area it largely ignored until it almost collapsed two years ago. But it still has some big decisions ahead. The biggest one is whether, and to what extent, it is prepared to walk the walk in terms of rolling out fibre broadband. Directly piped to houses broadband? Eircom would undoubtedly prefer to ‘sweat’ its existing infrastructure – its copper landlines – for as long as it possibly can before having to invest several hundred millions more. That would mean relying on ‘eFibre’ DSL copper-hybrid infrastructure. But rival entities such as the new ESB-Vodafone fibre broadband firm Siro are set to plough ahead with a €450m investment to connect 500,000 premises to direct fibre by 2018. And UPC, whose broadband speeds are over twice what Eircom can achieve with its current technology, has hoovered up a huge percentage of broadband subscriptions in urban areas. So if Eircom is to keep pace, it needs to invest hundreds of millions in new fibre infrastructure, even if it forestalls a return on investment for shareholders. Is it prepared to do this? So far, it has indicated that it will match fibre roll-out plans in 50 towns by the ESB-Vodafone’s Siro company. And it could get a big boost if it wins the Government’s upcoming National Broadband Plan tender, which is likely to prioritise fibre to 700,000 rural premises. But it needs to keep investing to keep its momentum going. Researchers specialising in ageing in persons with an intellectual disability at Trinity College Dublin have just begun a new study to examine if cognitive training for adults with Down syndrome can have a protective effect for healthy ageing. The study is being conducted in the context of a growing concern by the researchers involved regarding levels of dementia in an ageing Down syndrome population in Ireland and varying standards of care, support and diagnostic pathways around the country. The BEADS study (Brain Exercises for Adults with Down syndrome) will investigate the feasibility of using existing brain training games with a cohort of older adults with Down syndrome without dementia, and measure the effectiveness of the training in positively influencing levels of executive functioning such as planning, attention and memory. Dementia is a critical issue for adults with Down syndrome, both in terms of rates of occurrence and the early age of onset in this particular group pf people. 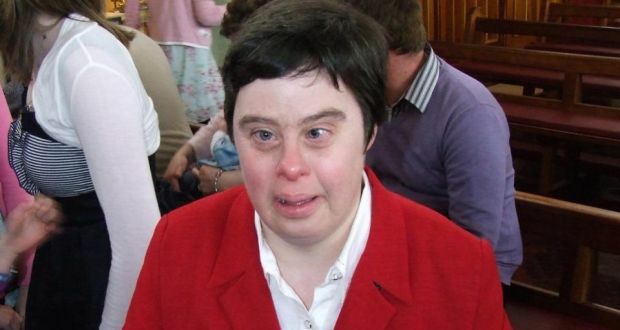 In a recent report by IDS-TILDA, the Intellectual Disability Supplement to The Irish Longitudinal Study on Ageing, the researchers found that in the three year period since the first wave of data collection was conducted in 2010, the prevalence of dementia among people with Down syndrome had almost doubled from 15.8% to 29.9%. These are much higher levels than the 1.5% seen in the general population. Other Trinity studies have found that the average age of onset of dementia for people with Down syndrome was 55 years of age with some cases presenting in their early 40’s. By comparison, onset for the majority of people with dementia in the general population was at over 65 years of age. In the general population there has been a lot of research conducted on the protective value of cognitive stimulation, or brain training, and its importance in healthy ageing. This is even more vital in a population of adults with Down syndrome as typically fewer opportunities for cognitive training and development were presented throughout their lives. As of yet, there has been little work in Ireland or indeed internationally on cognitive training and its influence on executive functioning for older adults with intellectual disabilities. “In tandem with new studies such as BEADS which hope to help with improved levels of healthy ageing for people with Down syndrome, the Irish healthcare system must also urgently address the specific diagnostic and care needs of this group of people in a comprehensive, systematic and consistent way,” Professor McCarron concluded. Poppy the sea lion gets a kiss from head sea lion keeper Frances Reid at Blair Drummond Safari Park near Stirling. It is National Smile Month, so some of the sea lions at Blair Drummond have been having their pearly whites brushed. They’ve been trained to have it done from an early age. Poppy the sea lion has her teeth cleaned by head sea lion keeper Frances Reid at Blair Drummond Safari Park near Stirling. A group of sea lions at Blair Drummond Safari Park have been getting their teeth cleaned to help mark the start of a national oral health campaign. The animals lined up to get their gnashers polished at the park near Stirling as National Smile Month got under way around the UK. The campaign aims to raise awareness of health issues and improve the oral health of millions of people throughout the country. And while brushing a sea lion’s teeth might seem an odd thing to do, park bosses insist it is vital to their welfare. Head keeper Frances Reid said: “Sea lions will live a lot longer in captivity then their wild counterparts, so their teeth need to last a lot longer. 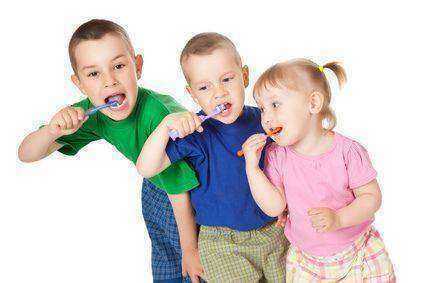 “Just like our own teeth, we need to control the amount of plaque building up on them and reduce the amount of decay. One of the sea lions, 10-year-old Poppy, was trained at an early age to get her teeth cleaned. Trainer Sam Clark said: “We achieved it through positive reinforcement, so lots of encouragement and food rewards until she had complete trust in us and was confident to have her teeth brushed. Let’s imagine for a moment that we’re on the cusp of the next great space race. With private space enterprise a reality, the possibilities of incredible new spacedrive technologies, and a plan to colonise Mars in the next decade, it’s a wonderful time to be a space nerd. But when humankind reaches Mars, what flag will we plant proudly in the surface? There is actually an Outer Space Treaty (part of Space Law, which is also a thing) that bans countries from claiming celestial bodies as territory. And so, a Swedish designer has taken it upon himself to create the International Flag of Planet Earth. Designed by Oskar Pernefeldt as a graduation project at the Beckmans College of Design, it’s not yet an “official” flag for Earth – however that would be decided – but NASA is thanked on the contributors page for the project. It’s not known how they were involved, though. “Current expeditions in outer space use different national flags depending on which country is funding the voyage,” Pernefeldt wrote about the project. As a design student, he set out to design something that not only reflect humanity’s existing flags – rectangular, wider than it is tall – but also has some meaning in the symbol. Our little pale blue dot is unique in our survey of the known universe so far for its large quantities of liquid surface water – and so Pernefeldt chose a deep, rich blue as his primary colour – to offset a pure white flower. Retail shareholders in Permanent TSB have subscribed for 479,954 new shares in the company under the terms of an open offer, which formed part of the bank’s €525 million recent capital raise. Permanent TSB has raised €300 million of unsecured debt on the market, the first unguaranteed debt transaction by the bank since before the crash in 2007. The issuance of three-year senior unsecured medium term notes marks a significant step in the bank’s re-entry into wholesale markets. “This is a milestone for us to get a benchmark trade of this size completed,” PTSB group treasurer Paul Byrne said. “It further builds on the momentum of last week’s positive actions by the ratings agencies, the successful execution of the capital raise and the strides we have made in deleveraging our non-core assets,” he added. Retail shareholders in the bank, meanwhile, have subscribed for 479,954 new shares in the company under the terms of an open offer, which formed part of the bank’s €525 million recent capital raise. The shares were priced at €4.50 each, raising €2.16 million for PTSB. The take-up represented 17.5% of the 2.7 million shares that were offered to retail shareholders, who between them owned 0.8% of the company prior to PTSB’s fundraising exercise. This involved PTSB raising €400 million through the sale of 88.9 million shares to a group of private investors, and €125 million via a debt instrument. In addition, the Government sold 21.8 million shares for €98 million. All of this had the effect of reducing the State’s holding in PTSB to 75% from the 99.2% previously. PTSB offered the stock to retail shareholders at the same price as it had to the group private investors last month. 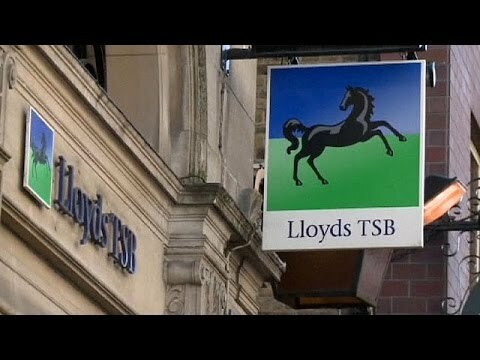 The new shares will trade on the main stock markets in Dublin and London and the total number of PTSB ordinary shares in issue is now 454.7 million. The funds from the capital raising were used to plug a €125 million hole in its capital, identified in regulatory stress tests last October, and to pay €410.5 million to the Government through the repurchase of the State’s contingent capital notes. 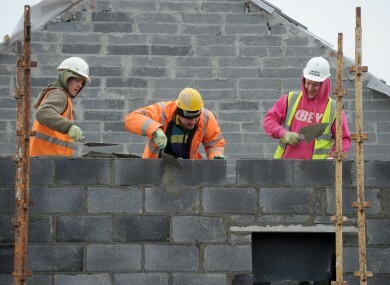 Overwhelming positivity over the future of the construction industry is being tempered by a severe lack of finance with almost two-thirds of industry leaders citing it as the biggest impediment to growth. More than 60% of construction sector business leaders identified securing finance for projects as the biggest challenge they face in attempting to develop their business against the improving economic back-drop. The funding shortage has forced many construction companies to look to other sources of finance to fund projects, with private equity by far the most popular. According to research carried out by PricewaterhouseCoopers (PwC), more than 80% of construction firms have turned to private equity in the last two years, with a joint venture and accessing Mezzanine finance other popular options. A number of other aspects, including burdensome building regulations, competitive project pricing and issues with the planning regime are also acting as impediments to growth in the sector, according to PwC tax partner, Ronan MacNioclais. “The survey highlights that access to finance, onerous planning and building regulations and uneconomic development prospects may be contributing to the low levels of planning applications compared to demand. There needs to be an equilibrium between the cost of building, price and sensible regulation,” he said. The manifestation of these issues can be seen in a drop-off in planning permissions granted in 2015 thus far this year, Mr MacNioclais added. “There are concerns that the permissions granted thus far in 2015 are below those in the third quarter 2014 and that this will have a knock-on effect on an already supply constrained market. “From a foreign direct investment perspective, it is also important that high-end office space is readily available,” he said. Nearly half (45%) of respondents to the survey are having difficulties recruiting certain types of individuals with specialist skills including contractors (78%) and site managers (44%). Despite the challenges the industry continues to face, optimism is high among business leaders with 95% favourable about the outlook for their sector for the next three years. Almost nine in 10 expect turnover will increase in the year ahead of which nearly two-thirds expect their turnover to rise more than 10%. Over two-thirds (68%) expect to increase employee numbers of which nearly half (44%) are planning to increase the workforce by more than 10%. However, 12% still plan to reduce their workforce. Many Irish women over the age of 45 are very unaware of their cholesterol numbers, despite high cholesterol being a major risk factor for cardiovascular disease (CVD), which is responsible for 50% of all female deaths in this country. According to a new survey of over 500 adults, which was carried out in February and March of this year, 50% of women aged 45 and older are unaware of their cholesterol number. While half of the participants said they have their cholesterol checked every year, women, and those aged between 45 and 54, were the least likely to have undergone testing. The survey also revealed that many people rely on reminders and prompts from healthcare professionals, such as GPs, before having their cholesterol checked. Furthermore, one in four women admitted that they are not taking any steps in an effort to maintain a healthy cholesterol level, or do not know what steps to take. “What is especially concerning about the findings is that women in the menopausal years (aged 45-54) are the least likely to have their cholesterol checked and yet this is the time when their risk of heart attack and stroke is significantly increased. Menopause is strongly associated with an increase in total and LDL (bad) cholesterol and a decline in HDL (good) cholesterol levels,” noted Irene Gibson of the heart and stroke charity, Croí. She pointed out that many people still perceive CVD as a ‘man’s disease’, however it is responsible for one in two deaths among women in Ireland. “While cardiovascular risk is deferred by 10 years in women versus men, it is not avoided. It still remains the number one cause of death among women in Ireland. The findings of this study highlight the important need to educate women on their risk of CVD and to empower them to take action. “The good news is that up to 90% of heart disease and stroke is preventable through lifestyle change and risk factor modification,” Ms Gibson said. The survey also noted that men and women tend to talk to different people about health issues. Men talk to their families and GPs more, while women are more likely to talk to their friends. However overall, almost one in three people said that they had experienced a health concern that they had not told a loved one about. The survey was carried out by Behaviours & Attitudes on behalf of Flora pro.activ. A leading international expert on the condition ME, also known as chronic fatigue syndrome (CFS), is to give two talks to members of the public later this month. ME (myalgic encephalomyelitis) affects around 12,000 people in Ireland and symptoms can include overwhelming exhaustion, joint pain, muscle pain, disturbed sleep, impaired concentration and headaches. Symptoms can vary greatly from day to day, or even within the same day. There is no known cure. According to Vera Kindlon, chairperson of the Irish ME/CFS Association, ‘there are few doctors in Ireland who have a specialist interest in this illness, which can be frustrating for patients’. Dr Abhijit Chaudhuri is a consultant neurologist at the Essex Centre of Neurological Science. He has a major interest in ME and even did his PhD thesis on the condition. He is due to give two talks in Ireland – one in Galway and one in Dublin – at the end of this month. These will be followed by a questions and answers session. “These meetings will give patients an opportunity to hear the views of someone who has over 15 years’ experience of ME/CFS in his medical practice. “In the past, we have noticed that those attending our meetings particularly relish the questions and answers session. Often these have gone on longer than the talk itself. Given Dr Chaudhuri’s experience and his background in neurological practice and research, I think that there will be a very interesting discussion at these meetings,” Ms Kindlon noted. She pointed out that while there have been some improvements in services for people affected in the last 10 years, ‘many people still experience a considerable delay in obtaining a firm diagnosis’. “More research has been published recently which again showed that an early diagnosis greatly improves the prognosis. Without a diagnosis, relations with family and friends can be strained and arrangements with employers or schools become very difficult. “Having a name for what is wrong with them allows patients to better manage their condition. They can also then get in touch with other sufferers, learning how others have dealt with similar problems and gaining support and empathy from those who know exactly what it is like,” Ms Kindlon said. Dr Chaudhuri will speak at the Connacht Hotel in Renmore, Galway, on Saturday, May 30, at 2.45pm. He will then speak in the Carlton Hotel Dublin Airport in Cloghran, Co Dublin, on Sunday, May 31, at 11am. Admission is €5. Click here to view video: http://bit.ly/Galway2020LaunchVideo). 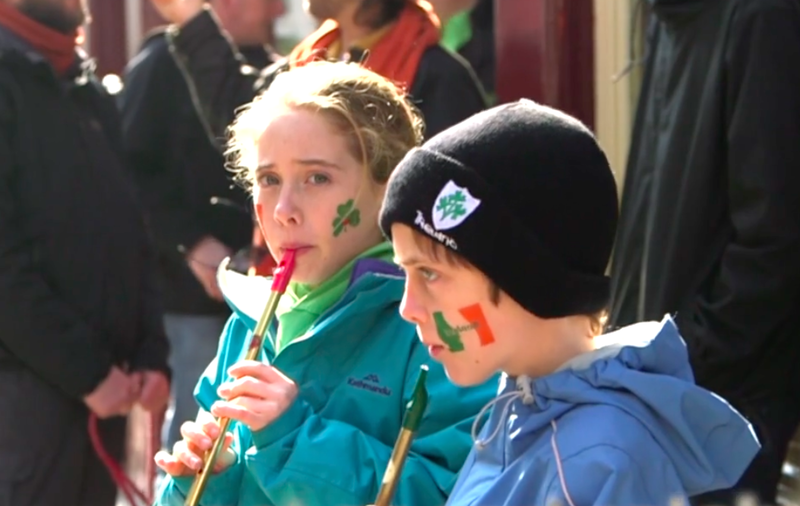 As the battle heats up between Irish counties to become the European Capital of Culture in 2020, Galway has become the first county to launch an inspiring bid video in a rallying call to its citizens. 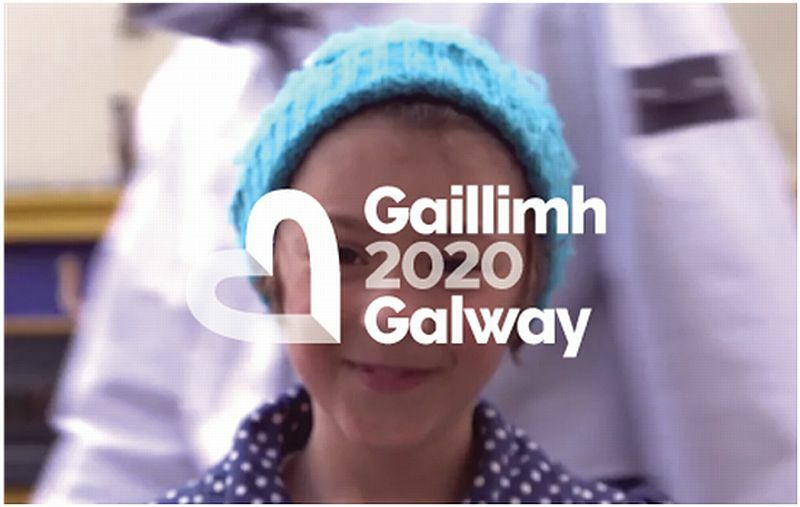 The launch of the video calls on the people of Galway to come together to collectively reflect upon and celebrate their unique and diverse culture, whilst focusing on re-imagining and creating the Galway of the future. Galway are planning a citizen led campaign and have recently launched a new website www.galway2020.ie that allows the people of Galway to create their own events, start their own projects & upload their own stories and news. The competition between the counties will reach a critical point in October of this year when a European Jury of 12 individuals will narrow the contest down to the final two. Galway are determined to work together to make official their unofficial title as the culture capital of Ireland. Galway is bidding to become the European Capital of Culture in 2020. The bid represents an opportunity for us to come together as a community, to reflect on the uniqueness of our Galway culture and the richness, vitality and diversity of our shared European culture. More excitingly, this bid represents an opportunity for us to collectively re-imagine and work together to create a better, more vibrant and creative Galway of the future. This bid is about and involves all of us. It’s about the way we work, play, laugh, sing, create, learn and write. It is about who we are as people, what we do and what we value. Winning this bid is up to all of us and we’re starting now. Let’s make this happen together! Everybody is doing/pooing it wrong? It’s actually unhealthy to sit on the toilet normally? The wrights and wrongs of doing your daily sits? You have almost certainly done just about every poo in your life the wrong way. A new book, Charming Bowels by Giulia Enders, suggests that we don’t – ahem – ‘open the hatch completely’ when we sit on a toilet. Instead, we should all be squatting down. If we squat, the poo slides out in a much healthier way which doesn’t put pressure on our bums. Enders says, ‘1.2 billion people around the world who squat have almost no incidence of diverticulosis and fewer problems with piles. ‘We in the west, on the other hand, squeeze our gut tissue until it comes out of our bottoms. Bottoms up as always!